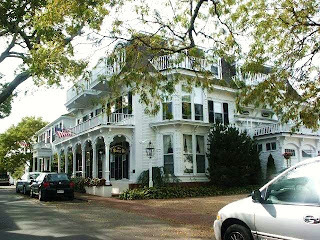 Bygone Living: Martha's Vineyard Restaurants! and to think, I planned this all in January! and a stone's throw away from main street... wonderful)! also planned the restaurants we'll be dining in at each specific night. excessive planning seems to be my forte! and give you an idea of what my stomach is in for this summer! 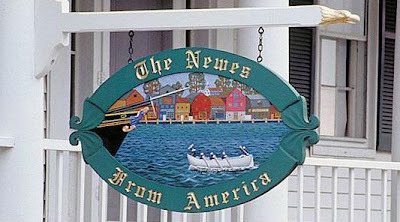 "This famous Colonial pub can be found at the base of The Kelley House in the heart of the village of Edgartown. Built in 1742, The Kelley House is one of the oldest buildings on Martha's Vineyard. This rich history and genuine Colonial character is most evident at The Newes with its original rough-hewn beams, ballast brick walls and warm hearth. The menu is a unique blend of American and British pub food and features local favorites such as: Chip Shop Curry Fries, Bangers & Mash, Roquefort Stilettos and world-famous Fish & Chips." 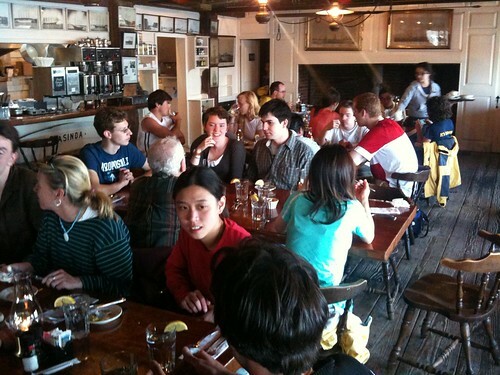 "The Seafood Shanty Restaurant is located on 31 Dock Street in Edgartown, next to the Memorial Wharf. 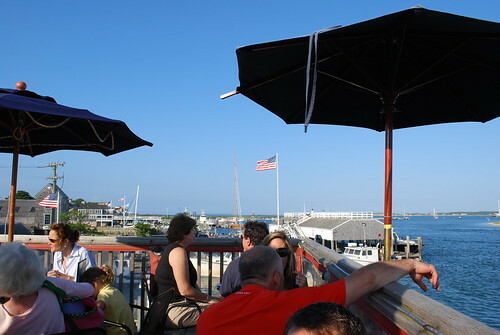 Relax and enjoy your favorite wine or cocktail while you take in the exquisite view of Edgartown Harbor from our dining room or outdoor deck." "Reminiscent of outdoor barbecues and summer family gatherings, Lure Grill exemplifies 'Island-Inspired, Wood-Fired' cooking over applewood and mesquite woods, which provide a sweet, subtle flavor to the food they prepare. Lure Grill works closely with local farmers, growers, and fishermen in order to provide the freshest, in-season ingredients available. There is a complimentary, sunset water taxi available from Edgartown to Lure Grill, which is offered Monday — Saturday in-season. Ample parking is also available. The restaurant serves dinners in a casual setting, and also features a relaxing lounge and outdoor deck - complete with an Atlantic Ocean view. 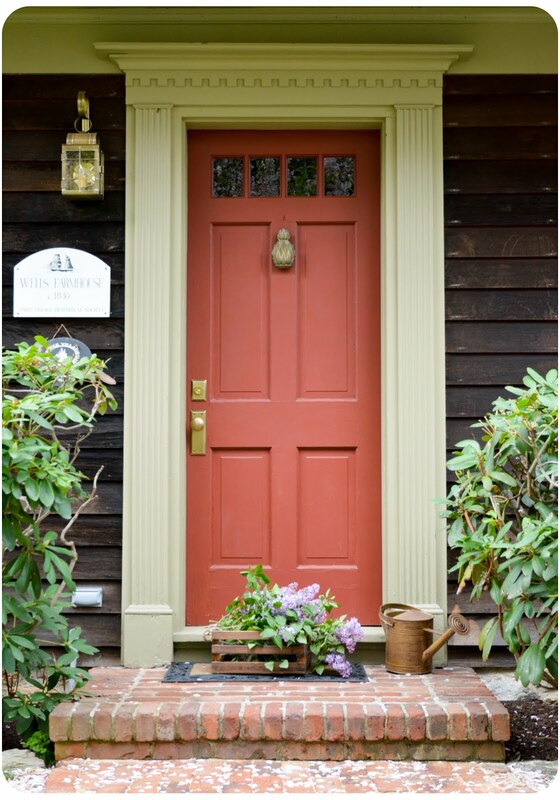 It is cozy enough for a romantic dinner and friendly enough for the entire family." mainly because of their sunset water taxi! "Enjoy the most spectacular views of Edgartown and Chappaquiddick from the harbor – and it’s free – when you take the boat directly to Lure Grill... The 25-minute boat trip travels through sheltered Katama Bay. See spectacular estates and the harbor not visible from any road!"" "This island landmark—which is more popular with tourists than locals—lies just steps from the ferry terminal in Vineyard Haven. In July and August, the wait for breakfast (with an expansive omelet assortment) can be as much as an hour from 8 am on. Why? Partly because the ambiance inside—roaring fireplace, dark-wood walls, maritime memorabilia, and a grand view of the water—makes everyone feel so at home. The menu is heavy on local fish, chowders, and chops." Okay, I admit it... I can be a little touristy! "The Atlantic Fish & ChopHouse... is a neighborhood restaurant devoted to offering quality food, exceptional service and a festive nightlife. Our professional and friendly staff will take great care of you as you enjoy the freshest seafood, USDA prime steaks, by Allen Brothers, since 1863, tasty appetizers, soups, salads, and an extensive wine list. Our stunning view of Edgartown Harbor will enchant you, but the food, service and entertainment will keep you coming back for more. We look forward to welcoming you for lunch, dinner, drinks and entertainment." My upcoming Martha's Vineyard dining experience! Congratulations on your graduation! Sounds like the Vineyard will be a well-deserved trip! Have a FABULOUS time - looking forward to seeing your photos! Congratulations on graduating! I love the Inn you are staying at. 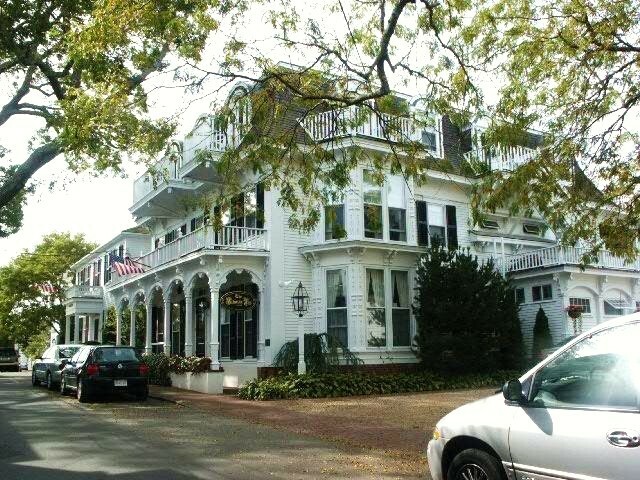 Edgartown is so beautiful.You do plan your trips well. I admit it, I'm very jealous! So long since I've been to the Vineyard. Maybe one day my husband and I will get there together, even if just for a day trip. Congratulations are definitely in order on your graduation! Way to go girl! Congrats to you on your graduation! Good luck in grad school too. I'm finishing up an M.Ed. in Library Media Specialist(LMS), let me know if you have any questions! I'm envious of your very well thought out vacation! It looks like a wonderful graduation gift to yourself! oh i want to go too!!!! i love MV!!! haven't been there in years though! isn't the black dog tavern the place that clinton bought a purse or a t-shirt for monica lewinsky? i am quite sure! have a blast and i can't wait to see pics and read about your trip. Congratulations and yippeee! Hope your trip is WONDERFUL! Hi Erin, it is so long since I visited your blog. Congratulations on graduating and have a wonderful holiday! I can't wait to see all your stunning photographs. Bet you will have the time of your life. It was hard to pick, but I do like the pub best. hi erin and CONGRATULATIONS !!!! you did it ! Congratulations on your graduation! You've planned a wonderful vacation. Stephen Curry can become a free agent in the offseason, but he has no intention of leaving the Warriors. The two-time reigning MVP told The Wall Russell Westbrook Jerseys Street Journal on Monday he feels at home with Golden State. "It's hard to see myself anywhere else," he said, but added that "curveballs happen all the time," which could change his future. Curry has been in a Warriors uniform since he was selected seventh overall in the 2009 draft out of Davidson Lebron James Shose College, north of Charlotte, N.C. — the only NBA city outside Oakland he likely would consider moving to, and likely only late in his career.That's still a long way away, though. Curry, 28, is in his prime and has established himself as one of the premier shooters in history. His "super team" Warriors now have 2014 MVP Kevin Durant for the next two seasons and are likely Kyrie Irving Shoes to lock down Curry for a max extension worth up to $165 million, making his current four-year, $44 million contract look like chump change. Golden State is 16-2 to start the season and seems destined for a Finals rematch with the Cavaliers, Golden State Warriors Jerseys who sit atop the Eastern Conference at 13-2. But perhaps Portland sunk a lot into an overachieving team in the past year, and the overachievement has dried up. There are high expectations in Portland, based on the way the Blazers produced Cheap NCAA Jerseys in tough circumstances last year. Those expectations might have been based on a mirage, though. It may be that what we’ve seen so far this quarter-season — a high-scoring offense that lacks the defensive talent to get stops — is what we’ll Cheap NBA Jerseys see for the last 60-plus games. And for $340 million in future and present contracts, it might not be reason to panic, but it’s at least time for concern.